SHM initiatives, clinician burnout, Medicare and new end-of-life care tools appeared in the last two weeks of media highlights in medical and regional news outlets. Because hospitalists are more frequently managing inpatient care of adults 65 and older, Medscape recently featured Journal of Hospital Medicine research on developing a patient-centered research agenda for improving the care of older hospitalized patients. Another SHM franchise, Project BOOST, was called out as an effective method to reduce hospital readmissions in Advance Healthcare Network’s nurse-targeted publication. Also in the quality improvement space, a HealthAffairs blog post by ABIM Foundation COO Daniel Wolfson highlighted SHM’s work with Choosing Wisely as the primary driver behind a 20 percent reduction in unnecessary lab work at Swedish Medical Center in Seattle, Washington. A common issue affecting hospitalists, physician burnout, was the subject of a MedPage Today article, featuring commentary from SHM member Dr. Vineet Arora, citing the intensity of the 7 on/7 off schedule as a potential contributor to burnout. In the article, Johns Hopkins physician Dr. Henry Michtalik praised SHM’s proactive efforts to address burnout rather than waiting for official legislation or regulation. In government-related healthcare news, SHM member and CMO for the Centers for Medicare and Medicaid Services Dr. Patrick Conway appeared on Ft. Myers, FL local news channel FOX 4 in a televised segment about selecting the best Medicare health or prescription drug plans. In the growing end-of-life care discussion, a Medscape article covered the effective use of video decision tools and conversation guides to improve the quality and effectiveness of patient-physician discussions about end-of-life care. One half or more of all adult inpatient days of care are for patients aged 65 and older, but few of them will have the direct involvement of a geriatric specialist. In most cases, hospitalists, not geriatricians, will manage the care of these patients. But are hospitalists prepared to offer evidence-based care to meet the specific challenges presented by older hospitalized patients? Can the research base help support hospitalists? A recent article in the Journal of Hospital Medicine describes an effort to address a dearth of evidence in this area through a “patient-centered research agenda” for improving the care of older hospitalized patients. The transition from hospital to home is a vulnerable period of discontinuity and potential adverse events. Hospital-based providers should not view discharge as an end to their obligation to patients and should attempt to promote a safe and efficient transition of care. A variety of tools are available, but select models are discussed here in detail due to the strength of their results. Rates of burnout vary markedly by specialty, but generally the highest rates are found among front-line physicians: family medicine, general internal medicine, neurology, and emergency medicine, and the lowest rates were found among pathology, dermatology, general pediatrics, and preventive medicine, according to a survey of burnout among U.S. physicians. The mean average of those reporting burnout was 45.8%, but the emergency physicians had the dubious distinction of being the specialty with the highest burnout rate: more than 60%. With the holiday shopping season in full swing, it’s easy to forget the deadline for making changes to your Medicare health or prescription drug plan. Shopping online for a new Medicare health or prescription drug plan is easy with many resources, options, and help only a click away. Dr. Patrick Conway, CMS’s Deputy Administrator and Chief Medical Officer, is here to help you make online shopping for Medicare health and drug plans part of your routine. Can short films and conversation guides improve dialog about end-of-life care decisions between patients and clinicians? According to researchers who spoke at the 2015 Palliative Care in Oncology Symposium, the answer is yes. 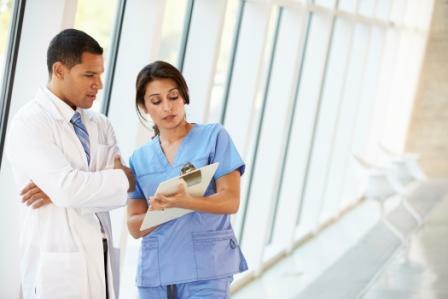 In patients with serious illness, studies have shown that high-quality communication with clinicians is associated with enhanced goal-concordant care, improved quality of life, higher patient satisfaction, more and earlier hospice care, better patient and family coping, eased burden of decision-making for families, and improved bereavement outcomes.